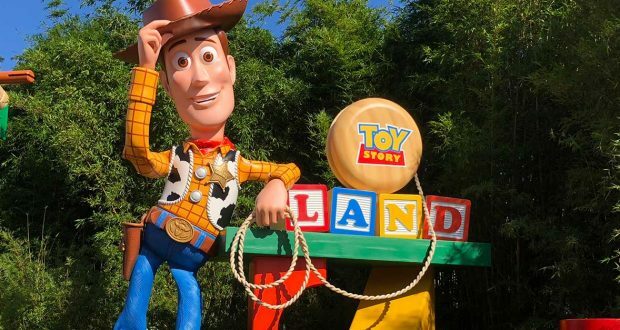 It’s Walt Disney World’s hottest new attraction area—Toy Story Land! You’ve seen the colorful pictures; you’ve read the rave reviews. But until you see it for yourself, you really can’t appreciate all the amazing details of Toy Story Land. Every inch of this new area seems to put guests right into a scene from the movies. Here are a few fabulous finds—some more obscure than others—that await you at Toy Story Land. From the moment you enter, everything in Toy Story Land seems larger than life. Woody and all his pals are gigantic. K’nex pieces form the guard rails. And if the Jenga tower were to topple in Toy Story Land, we’d all be in serious trouble. After we’d been inside Toy Story Land for a while we figured it out—us humans are supposed to be basically the same size as the Green Army Men! So with the exception of greet-able characters (who are obviously regular, human-sized people), everything within this area is meant to make you feel like one of the troops. Speaking of the Green Army Men, these fellas (and ladies!) roam the streets of Toy Story Land freely. They’ll often stop to pose for pictures, but beware—they might ask you to “pay” for it in push-ups! In addition, their musical talents are on display throughout the day in the form of a well-disciplined and highly-entertaining drum corp. Just another added pleasure of hanging out in Toy Story Land. Toy Story Land wouldn’t be quite right if Woody and Buzz weren’t talking toys. Pause for a while as you pass these big guys. You’ll hear Woody welcoming you with his famous drawl, while Buzz may just have a few things to say in Spanish mode. Are you a fan of the new #DisneyWalls trend on Instagram? 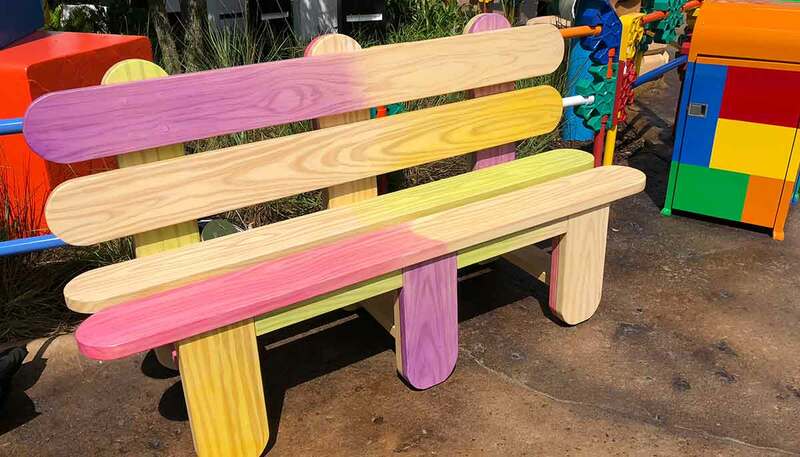 Then you’ll have plenty of photo ops in Toy Story Land, including a wall meant to look like Andy made it out of his popsicle sticks. The sticks are slightly stained on the ends, just like they would be after enjoying a frozen treat in real life. Such a cute detail! Other #DisneyWalls you may want to look for include a checkers board and wooden building blocks. OK, this is a more obvious find. We all know there are two new rides in Toy Story Land—Alien Swirling Saucers and Slinky Dog Dash. But after actually experiencing Toy Story Land, it’s nice to find that they actually are NEW. You won’t find anything like these two new rides anywhere in Walt Disney World. However, for those who have been to Cars Land in Disneyland’s California Adventure Park, Alien Swirling Saucers will bear a resemblance to Mater’s Junkyard Jamboree. Slinky Dog headbands and the Slinky Dog stretchy light up toys. 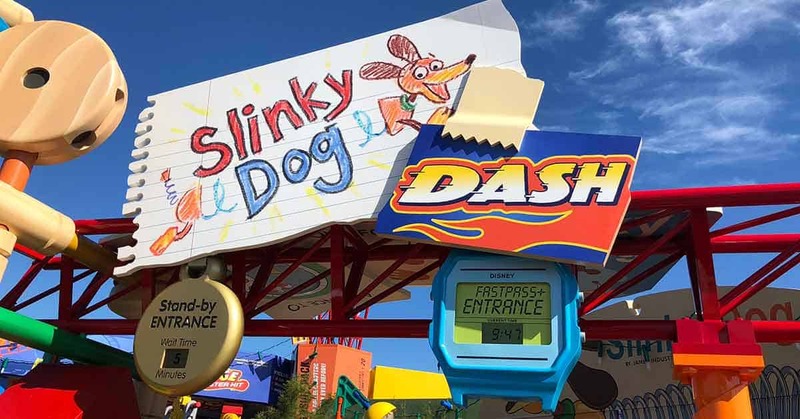 Not only are they adorable, they also make great souvenirs to remember your first ride on Slinky Dog Dash. Woody’s Lunchbox is where it’s at, y’all! The line at this new restaurant is constantly out the door, even when it’s not a normal meal time. There’s good reason for that, too. 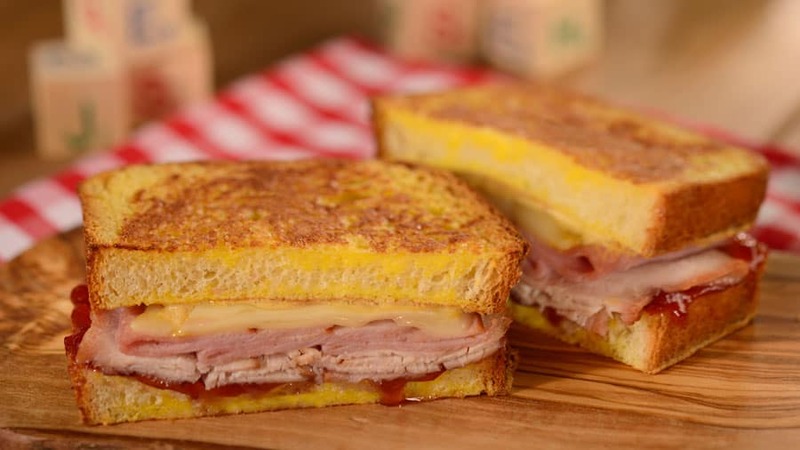 When you see Smore’s French Toast Sandwich and Totchos and a hazelnut bacon pop tart recreation on the menu, you know it’s gonna be yummy! We’ve already mentioned the toy-sized scaling, but the little (or big?) details are what really make the difference in theming. Andy’s tennis shoe prints in the ground, Tinker Toy speakers, and stopwatch wait time displays are the types of things that make you feel like one of the gang. Though the Toy Story Mania ride is the same as it has been for years, the queue is on a different side of the building now, with its entrance right inside Toy Story Land. Classic toys still dot the rows, but everything looks a little different. Plus Etch provides some trivia for your entertainment as well. It’s a fun little find, for sure. We loved how “Andy” strung Christmas lights within his theme park. They’re gigantic yet unmistakable, and the view is even more stunning at night. With the added Tinker Toy street lights, Toy Story after dark is certainly a sight to behold. While we were completely satisfied with the fun we were having inside Toy Story Land, it was also fun to find a cool new view of the coming Star Wars Land. Construction of the galaxy far, far away loomed large over the Toy Story Land fences, giving us a glimpse of even more memories to be made in Hollywood Studios in days to come. Have you been to Toy Story Land? What were some of your favorite finds? And if you haven’t been yet—tell us when you plan to go! We’d love to hear from you in our interactive Facebook group Disney Fanatic Fun.